Johnson Health Tech specializes in the design, production and distribution of award-winning fitness equipment. Founded in 1975, we have grown tremendously in the ever-evolving fitness market, becoming one of the largest and fastest growing producers of fitness equipment in the world. Our global network consists of manufacturing facilities in Shanghai and Taiwan, with Research & Development centers in North America, Shanghai and Taiwan. In addition, our worldwide network of 26 wholly-owned subsidiaries and service network of over 60 countries allow us to better reach and efficiently serve the needs of our customers around the globe. Coach Phil Campbell (M.S., M.A., FACHE, ASCM-CPT) partnered with Johnson Health Tech’s fitness brands to bring his science-based Sprint 8 workout exclusively to select Johnson Health Tech treadmills, ellipticals, Ascent Trainers and exercise bikes. Johnson Health Tech brands with exclusive Sprint 8 programming include Matrix Fitness, Vision Fitness and select Horizon Fitness products. A certified personal trainer with the American College of Sports Medicine, Phil Campbell works with athletes to improve speed and agility. He created the Sprint 8 training program to bring the science of high-intensity interval training, or HIIT, to cardio workouts. His regimen has been heralded in numerous publications, including Outside, Self and Oprah’s O Magazine, which calls it the fastest-working workout. He details his findings – and the science behind them – in his book “Sprint 8 Cardio Protocol: The Perfect Fitness Solution”. It is a comprehensive resource for anyone looking for more background on the Sprint 8 approach. Campbell also spent two decades of his career as a senior hospital administrator. His familiarity with the healthcare system and his access to renowned researchers and scientists enabled him to infuse his Sprint 8 training system with hard data. That, in turn, enabled him to optimize the program to achieve maximum results. Campbell is also a USA Track and Field Masters title holder who won his age group in the 100-meter sprint at the 2000 Southeastern U.S. Championships. At the 2003 Masters Track & Field Tennessee Championships he took the top prize in the 200-meter sprint and discus throw, placed second in the 100-meter sprint and set the meet record in the javelin. He holds a black belt in Isshinryu Karate, and he competes in martial arts and weightlifting competitions. You can purchase Phil Campbell’s groundbreaking book “The Sprint 8 Protocol” on Amazon (US customers only). 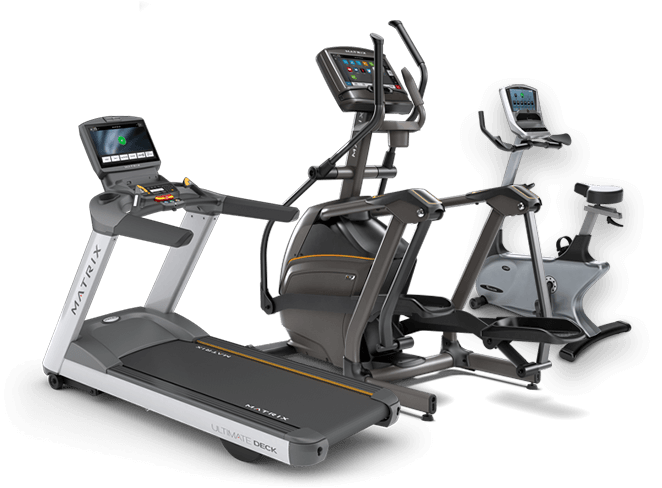 Get the exclusive Sprint 8 program on any of our Matrix or Vision cardio products.